With less than a week before the teams meet in the playoffs for the third time in four years, ticket prices on the secondary market are experiencing a high. The $965 series average asking price is the highest since TicketIQ.com began tracking prices in 2011. And two games – the if-needed Game 7 in Houston and Game 4 in Oakland – have average asking prices of at least $1,000, at $1,416 and $1,000, respectively. The cheapest average asking price for a game in this series is $683 for Game 2 in Houston. But fans can get into games for much less, as the current get-in prices range from a low of $175 for Game 2 to a high of $305 for Game 7. 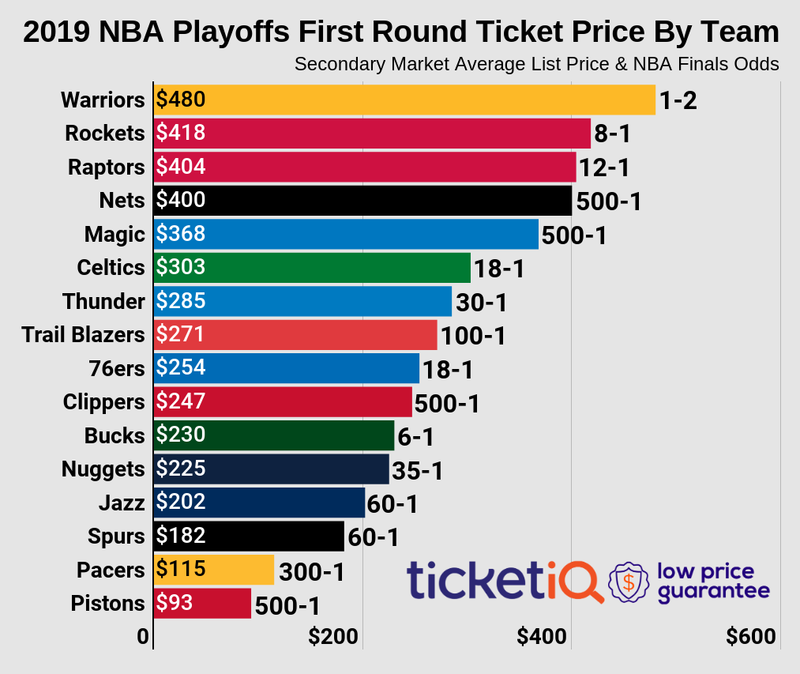 For both the Warriors and the Rockets, who could host up to four games, Western Conference Finals ticket prices are the highest they’ve been in decade. The average asking price of $976 for a game at Oracle Arena is the highest since TicketIQ began tracking data while the average asking price of $957 at the Toyota Center ranks No. 2 across the NBA. By comparison, the next most expensive Warriors home conference final was more than $200 cheaper -- $792 – in 2016. Fans paid an average of $571 at the Toyota Center in 2015, the Rockets only other conference final since 2011. This much-anticipated series has plenty to offer. The Warriors, who finished a surprising fourth in the Western Conference a year after winning the NBA Finals, are playing in their first Western Conference Final without home-court advantage. And the Rockets won the regular-season series. Both teams bring plenty of star power, but with James Harden, Chris Paul and Clint Capela, the Rockets have a little something different to throw at the defending champs.